Goodbiz is the Goodbox App for businesses. Grow your business with Goodbiz by creating a mobile app presence for your business. Connect with customers directly & take orders, enquiries, bookings, feedback & more. 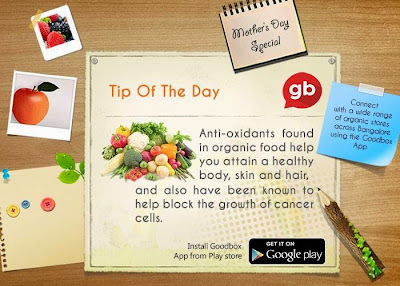 Why Goodbox is an must have app for Mom Entrepreneurs? Send offers to your customers with zero SMS cost Gooodbiz also helps businesses in improving their service standards by making direct feedback reach them and helps them manage their business remotely. With no commission and no listing fee, Goodbiz is super easy to use. So what are you waiting for? Install now and take control of your business. Here's a link to our app - currently it is FREE to download. 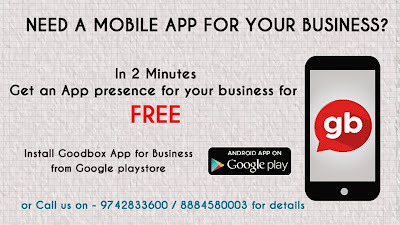 Momspeaks>> It is the popular app for mobile with about 100+ downloads, install and experience this app on your phone and boost your business in just 2minutes. And the best part is it does not have any commission plan, registration fee, so with zero investment on marketing mompreneur can scale up her business with no 'money stress' attached. I have personally seen lot of mompreneurs pushing their products ob FB groups and Watsapp, but to keep track of customers and inquiries, Goodbox is more efficient than any other social media platform for 'Business'. Moms who are doing business from home and caters local market, this app is the destination for them to meet their customers without compromising on your identity.